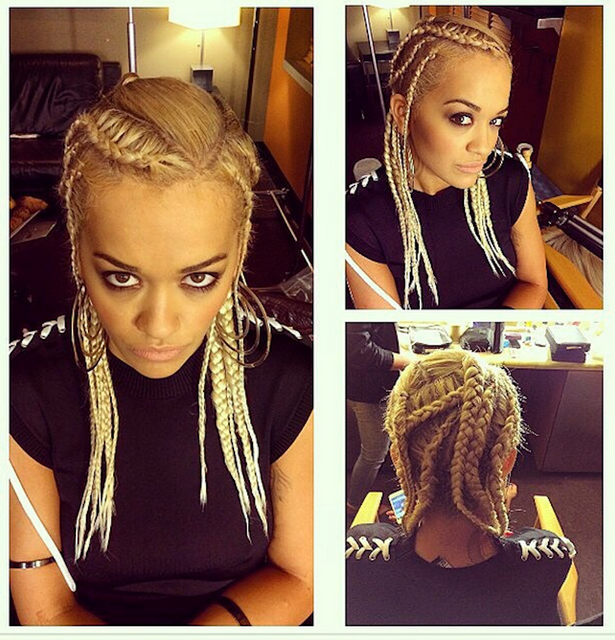 Rita Ora has always been a bit of a trend setter and we are loving this look. The singer has gone for a drastic hair style change which is a world away from the sleek platinum ‘do that the she rocked at the VMA Awards on Sunday night. 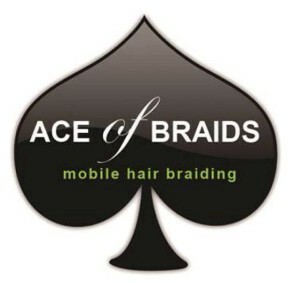 In a snap posted on Instagram, the singer debuted her new plait-happy style and captioned the image: “Braid day”. 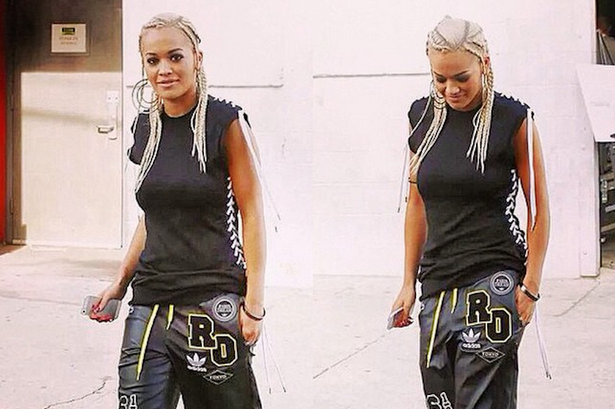 Rita showed off her look in LA wearing her own label Rocking Rita for Adidas shorts and a pair of black trainers.